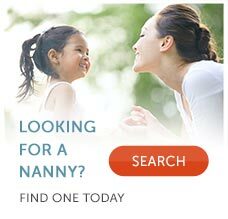 Evaluating Nanny Success: Does your nanny work well with your child? As a nanny employer, it is vital that you monitor and evaluate your childcare provider regularly. Doing so helps to address any issues that may arise and to ensure that your child is receiving the quality of care you expect. Is my child happy to see my nanny? Does your child smile when she sees your nanny? Does she show her affection? Does she seem at ease when your nanny is around? If your child shows an aversion to your nanny, carefully monitor the situation. While a child crying when you leave her with your nanny could be a sign of separation anxiety, it could also be a sign that your child doesn't feel safe and secure in your nanny's care. Are there too many accidents? While most every child will have an accident or two, do you find that your child is having increasingly more accidents with your nanny? Were the accidents that have happened, like a child getting burned by hot tea, avoidable? Beware if repeated accidents that don't tend to happen when you're around are happening when your child is in your nanny's care. Repeated accidents could be a sign of abuse or neglect. Is your nanny punctual? Does your nanny show up to work on time? Nannies who don't respect your time and show up consistently late may not be suited to work as a nanny. Not only does showing up late cause a major inconvenience if you're trying to get to work, it also indicates that your nanny may be undisciplined or irresponsible. What is your gut feeling? Now is not the time to ignore your gut feeling or intuition. If something feels off, chances are it is. Follow your gut and investigate any feelings you have. If you have concerns about your child's safety, immediately intervene and let your caregiver go. Remember, most nannies are loving and devoted caregivers. When things don't work out between a nanny and family, it's typically because of a breakdown in communication. If you stay diligent and communicate regularly with your nanny, it will lead to a healthy and happy relationship.